Nestled in the foothills, our small and cozy school has educated students in the Los Angeles Unified School District since 1917. We currently educate less than 300 students in Preschool through Grade Five. However, starting this school year, we will be starting to incorporate grades 6-8 as we develop into a span school. Our school provides education in English, social science, mathematics, and science in a small class ratio, which allows teachers to arrange that valuable one-on-one individualized time to each student. Our school also offers Title 1 and English-as-a-Second-Language programs. 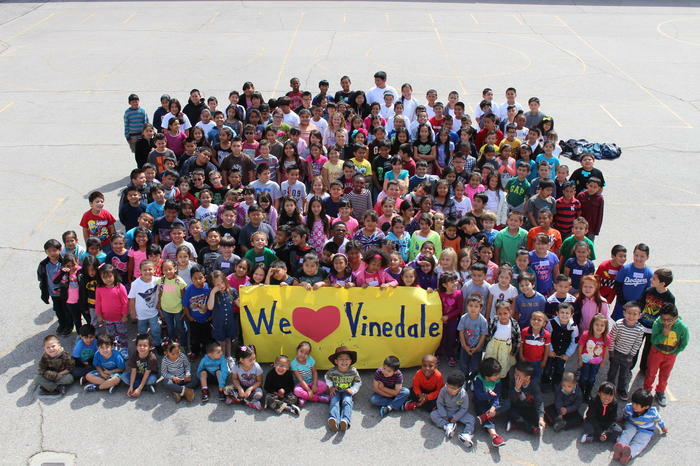 Throughout the year, Vinedale College Preparatory Academy operates a school advisory council (School Site Council) that discusses school concerns and creates activities for the entire school to enjoy. The school also offers counseling services on site for families in need of family guidance and support.